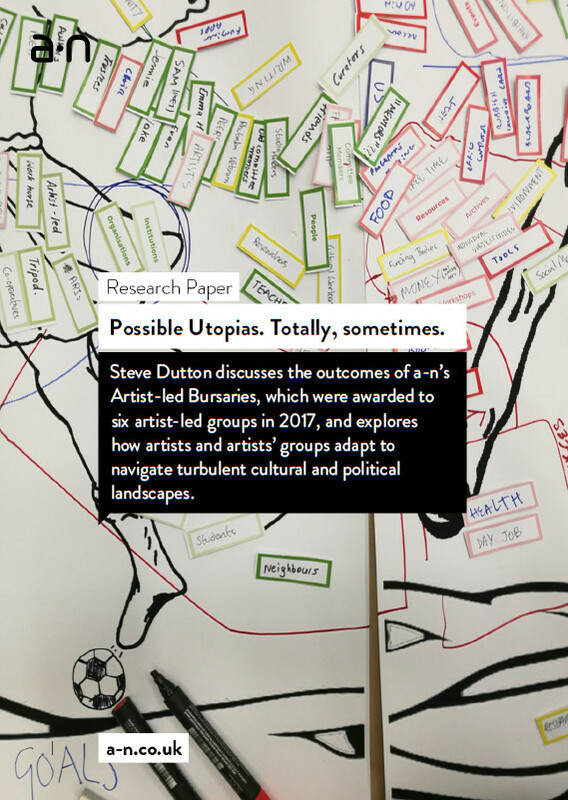 Steve Dutton discusses the outcomes of a-n’s Artist-led Bursaries, awarded to six artist-led groups in 2017 to explore how artists and artists’ groups adapt to navigate turbulent cultural and political landscapes. Treeline, an artist-led investigation into how artists can influence our relationship with nature in the context of rapid global climate change. In Possible Utopias. Totally, sometimes., Steve Dutton discusses the outcomes of these bursaries, providing an insight into artists’ ways of working, and how they impact and support communities in times of anxiety and change.